EXCLUSIVE: TOUTED AS THE “biggest private sector transaction in three years”, Greyhound Australia has announced it is acquiring 49 Irizar-Volvo coaches following a successful subsidiary contract renewal with BHP covering two of its major mining areas, it’s reported recently. 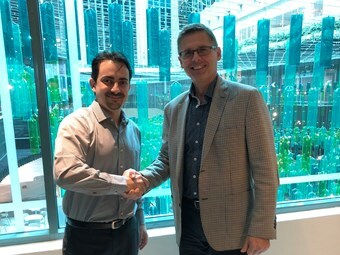 (L-R) A pretty big deal; the coach-supply contract was signed in Melbourne on October 15 by Irizar managing director for the Asia-Pacific region Daniel Castro and Greyhound Australia CEO Alex de Waal. The coach-supply contract was signed in Melbourne on October 15 by Greyhound Australia CEO Alex de Waal and Irizar managing director for the Asia-Pacific region Daniel Castro. The massive deal followed Greyhound Resources - a subsidiary of the Greyhound Australia group – successfully winning its tender submission to secure a five-year renewal of the contract to provide BHP, BMC and BMA with coach services in the Queensland Bowen Basin and South Australia Olympic Dam mining regions. Greyhound Australia CEO Alex de Waal said: "We are delighted to be able to continue to provide BHP with the very best coach services available to the resources sector." "Over the past 10 years we have worked in partnership with BHP to develop our fleet, processes, technology and compliance / fatigue management systems to deliver the very highest standards of safety, reliability and passenger comfort." The partnership between Irizar and Greyhound Australia began in 2008 and since then the European manufacturer has supplied more than 140 units to the coach operator. In 2016 Greyhound Australia, with funding support from BMA, developed an Irizar-Volvo ‘Techbus’ prototype to demonstrate the application of the latest safety features and to establish a new benchmark for safety in the coach fleet deployed to the resources sector, the company states. The Greyhound Techbus has travelled in excess of 100,000km without incident and is utilised by Greyhound to trial the very latest safety features prior to deployment across its fleet, it’s claimed. - CCTV with remote access. "Greyhound has been providing safe and trusted mobility solutions since 1905," de Waal said. "We currently provide more than 60 services per day to BHP, moving 65,000 passengers per month covering over 6 million kilometres annually. "Our resource-sector clients place the highest priority on the diligent and effective management of the risks associated with transporting its staff to and from site. They recognise the potential for catastrophic consequences if critical controls are not in place and the importance to be compliant with the latest Chain of Responsibility legislation obligations," he confirmed. Daniel Castro, MD of Irizar Asia-Pacific added: "We are proud of being able to strengthen our relationship with Greyhound along these 10 years of partnership." "This deal is proof that only durable and innovative solutions will last in the Australian mining environment. "We congratulate Alex de Waal and his team for this fantastic achievement. It is time now to deliver the vehicles and continue our strong support to the Greyhound fleet," Castro explained. Volvo Buses Australia general manager Lauren Downs said: "Volvo is thrilled to continue our strong partnership with Greyhound that extends well beyond the high-quality and safe vehicles they are procuring." "On behalf of the entire team at Volvo, I would like to congratulate Greyhound on their contract award, and thank the Greyhound team for their continuing relationship and the trust that they place in us, our products and services on a daily basis in order to deliver their demanding, high-quality transport services." The vehicles - Irizar i6 3700 12.3m mining versions assembled on Volvo B8R Euro 5 chassis - will be delivered to Greyhound from March 2019, with production starting in Brazil end October, 2018. According to Irizar Asia-Pacific, the specifications include specially developed systems for the mining environment, including: seat belt monitoring systems for all passengers; fire-suppression system; and European coach-type reclining seats. The B8R power train includes the latest 8-litre Volvo engine making a factory claimed 330hp using an automatic gearbox to reduce driver fatigue. Irizar arrived in Australia in 2007. Throughout the company’s history Irizar has always responded to customers’ different needs and is continuously improving the safety, reliability and comfort of its vehicles – offering the best service possible with more than 125 years, the company states. Irizar is a world-leading business in the road passenger transport sector, with production plants in six countries and a sales presence in more than 90 countries across five continents, it adds. Volvo has been supplying Greyhound with premium chassis for various operations since 2013, including the Volvo B13R, B11R and B7R chassis - and now the latest state-of-the-art B8R, it states. This longstanding partnership also extends to include service, maintenance and financing solutions, it adds. Greyhound currently operates more than 70 Volvo coaches. Globally, Volvo Buses is celebrating its ’90 Years of Innovation’ in 2018, including more than 45 years supplying premium bus and coach chassis into the Australian market, it says. Volvo Buses is part of the larger Volvo Group and is recognised as one of the world’s leading bus manufacturers with a core focus on quality, safety and long-term sustainability, according to the company. Worldwide, Volvo Buses has approximately 7,500 employees, production facilities in eight countries and sales in more than 85 markets. According to BHP - formerly known endearingly to many Aussies through its history as ‘The Big Australian’ prior and during its 2001 merger with massive Dutch mining company Billiton; now under a new slogan of ‘Think Big’ as a 2017 re-branded BHP (again) entity – its Olympic Dam site is one of the world’s largest ore bodies. Located 560 kilometres north of Adelaide, it is one of the world’s largest deposits of copper, gold and uranium and it also has a significant deposit of silver. 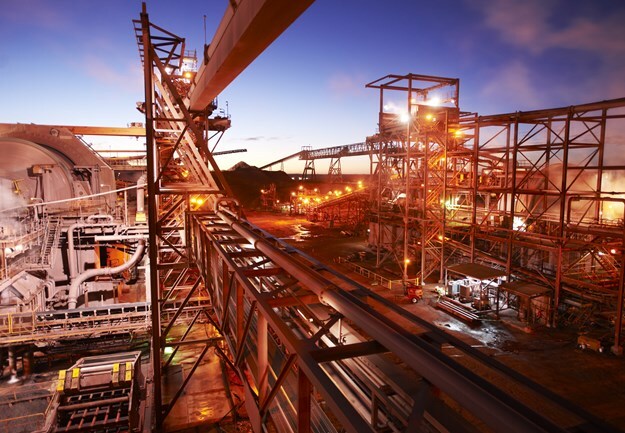 Olympic Dam operates a fully integrated processing facility from ore to metal, it states. As the company states, BMA is Australia’s largest coal producer and supplier of seaborne metallurgical coal. BMA is owned 50:50 by BHP and Mitsubishi Development, it states. BMA operates seven Bowen Basin mines (Goonyella Riverside, Broadmeadow, Daunia, Peak Downs, Saraji, Blackwater and Caval Ridge) and owns and operates the Hay Point Coal Terminal near Mackay. BMC owns and operates two open-cut metallurgical coal mines in the Bowen Basin – the South Walker Creek Mine and Poitrel Mine. BMC is owned by BHP (80 per cent) and Mitsui and Co. (20 per cent).